Videos containing BlackBerry 10L & N series smartphones have appeared online.The videos were leaked through internal marketing video. A number of Blackberry fans have been waiting for a look how the new Blackberry smartphones would be. And the videos surfaced online gives us a pretty good look at both BlackBerry L and N series devices. 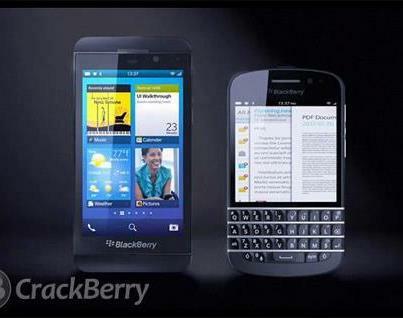 The L Series Blackberry is the full touchscreen whereas the N series is a full qwerty keyboard.